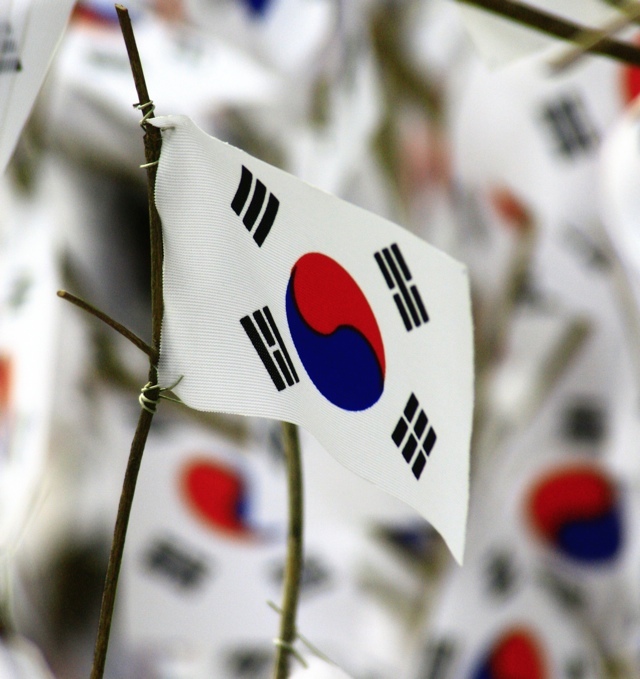 The Korean flag is called taegeuki (tah-eh-ge-oo-kee). The entire design symbolizes the forces of yin and yang — balance and harmony. The centre circle is divided into two equal parts — the red represents the proactive cosmic forces of the yang and the blue represents the responsive cosmic forces of the yin. The two forces are always moving and achieve balance and harmony throughout infinity. The black lines in each corner represent the four universal elements. I’ll try to imitate with colons representing the broken lines. Balance and harmony with the forces of nature. Sounds like a temple experience all wrapped up in a flag!